Saturday’s Rebel Stakes (G2) at Oaklawn Park has been split into divisions and six-time Rebel winner Bob Baffert will send out the favorite in each race. Unbeaten Grade 1 winner Improbable heads a field of nine in the first division and champion two-year-old male Game Winner tops 10 runners in the second. 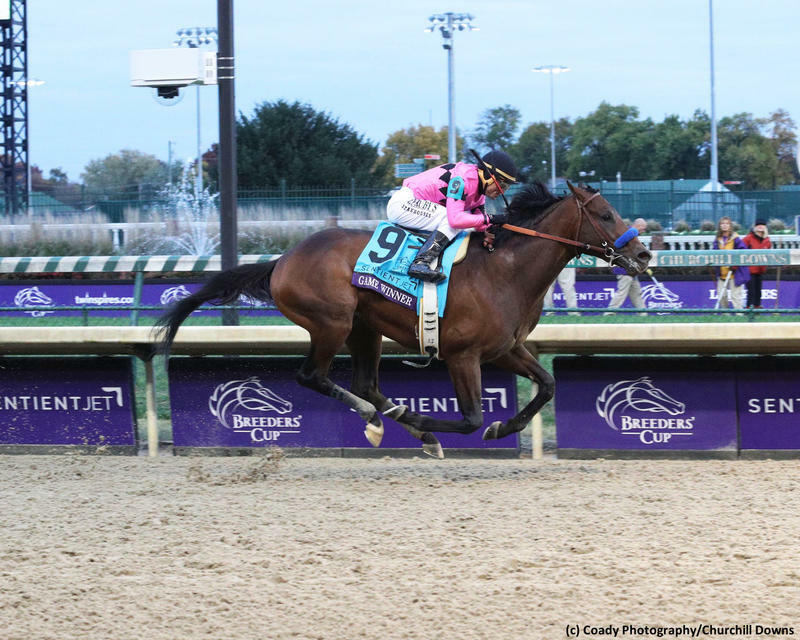 The well-regarded Kentucky Derby contenders will make their initial start of 2019 and were re-routed to Oaklawn following the cancellation of last weekend’s San Felipe (G2) at Santa Anita. A three-time Grade 1 scorer, Game Winner capped a perfect season with a 2 ¼-length victory in the Breeders’ Cup Juvenile (G1) at Churchill Downs and presently ranks fifth on the Kentucky Derby Leaderboard with 30 points due to his two-year-old accomplishments. Joel Rosario has the mount and Gary & Mary West own the son of Candy Ride. Game Winner will break from post 5 in the second division and his top rivals include Omaha Beach, a nine-length maiden winner in his last outing for Richard Mandella; Grade 3 winner Gunmetal Gray, who exits a runner-up in the Robert B. Lewis (G3); and Captain Von Trapp, who will make his stakes debut for Steve Amussen following consecutive maiden and entry-level allowance wins at Oaklawn. Asmussen has a total of six runners entered, with a pair in the first and four in the second division. Improbable improved to three-for-three when romping by five lengths in the Los Alamitos Futurity (G1) in mid-December and has captured his last two stakes starts by a combined 12 ¼ lengths. His 100 BRIS Speed rating rates as easily the top last-out figure in his division and regular rider Drayden Van Dyke will be up. The City Zip colt is owned by WinStar Farm, the China Horse Club and Sarlight Racing, the same connections of 2018 Triple Crown winner Justify. Galilean will try open rivals following a pair of convincing stakes wins over California-bred rivals. Other runners in the first division include Extra Hope, a sharp last-out allowance winner for Mandella; Springboard Mile upsetter Long Range Toddy, second in the Smarty Jones and third in the Southwest (G3) at Oaklawn for Asmussen; and Robert Lewis third-placer Easy Shot. A total of eight horses have shipped from Southern California for the Rebel.